You would be forgiven for thinking this was just another story about vampires. At first look, you wouldn't even realise that this story involved vampires at all! Daphne is a meek substitute teacher who just happens to cross paths with Charlie Cross, a man well known for being involved in organised crime. She slowly gets drawn into his web but his constant flakiness leads to Daphne falling for someone else which leads to a very tense storyline. This book involves a variety of genres rolled into one and makes this a very worthwhile read - romance, thriller, suspense, paranormal - something to suit everyone! I would suggest that this is read by 16+ however due to some of the sexual scenes. So what did I think of the book? It definitely is unlike any other vampire novel I have come across before and that is meant in a good way. It kept me gripped and I couldn't wait to see what was happening. Interested in reading it for yourself? Why not enter this giveaway? Judy Serrano graduated from Texas A&M University, Commerce with a BA in English. She is a member of Romance Writers of America and Dallas Area Romance Authors. She is a substitute teacher at the local school district and writes for various on-line publications. 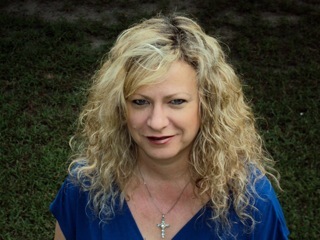 She is the author of Easter's Lilly, Brother Number Three, Relatively Close and Memoirs of a Mobster, which are romantic thrillers and part of The Easter’s Lilly Series. Thank you so much for taking the time to read and review "Linked." If it's not too much trouble, would you be so kind as to put the review up on Amazon? I would really appreciate it. Thanks for the wonderful review.